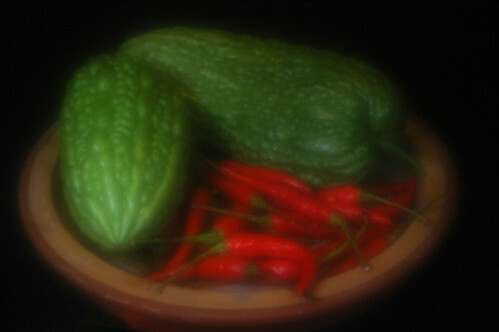 this still life with bitter gourd and chilly is a zone plate light painting. 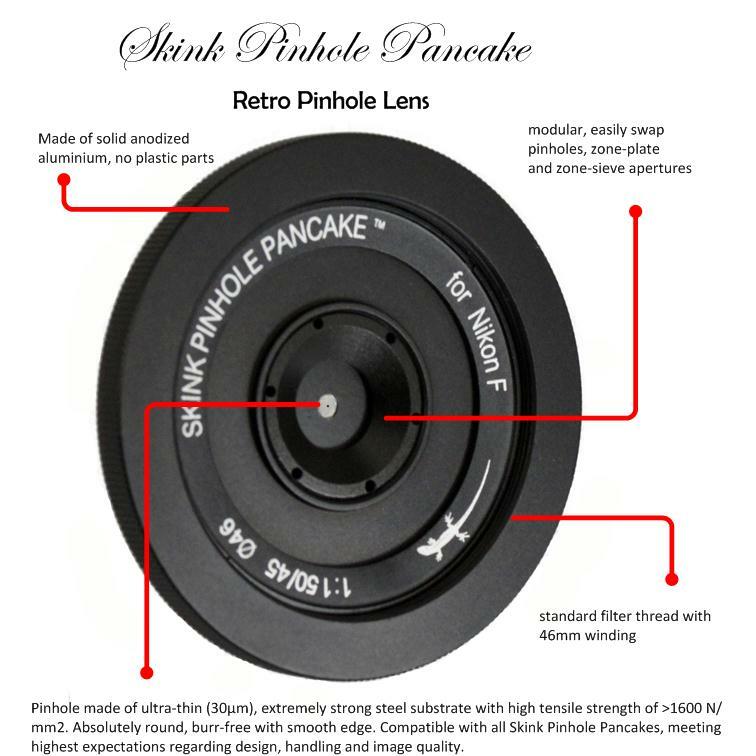 A Skink Pinhole Pancake with “medium glow” zone plate was used on a Nikon DSLR camera. A flash light (guide 18) was fired 50 times from half-meter distance to “light-paint” the arrangement.